By evaluating the thermal condition of electrical, mechanical & rotating equipment we provide cost effective surveys to comply with annual safety, insurance and underwriters requirements. Our associated thermographic condition monitoring reports will also assist to dramatically improve upon your safety management, up-time & energy requirements. Working together with your qualified personnel we provide base line and real time thermal imaging reports which enhance your in-house RCM (PdM,CMMS) procedures. Thermal imaging is a cutting edge method of non-contact inspection, it can be carried out when a system is live, meaning no inconvenience or downtime costs during the survey. When faults are found, corrective maintenance strategies can be planned and implemented before system failure occurs. Identified as the most diversified monitoring technique available today, GeoTherm's high resolution infrared thermal inspections have a greater potential to find incipient faults which in turn decreases electrical & mechanical related incidents. Thus assisting to greatly reduce maintenance and process related costs, more so than any other technology. Think thermally and get in step with infrared thermal imaging from GeoTherm AustAsia Pty Ltd - your leading Thermographic Surveyors. 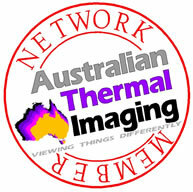 Copyright Â© 2012 GeoTherm AustAsia Pty Ltd. All Rights Reserved.